​Bayern Munich chief executive Karl-Heinz Rummenigge has publicly criticised star striker Robert Lewandowski, following the player's recent comments about the club's transfer policy. 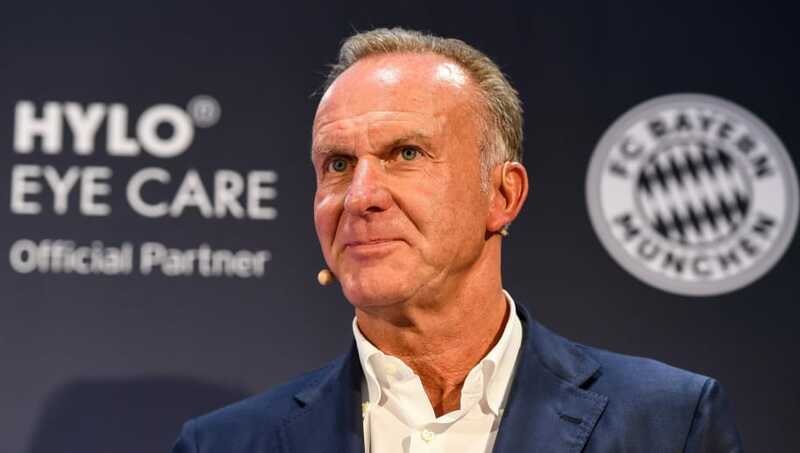 During an interview with Bild, via ​Sky Sports, Rummenigge responded to comments from the Polish international which showed his disillusion with Bayern not competing in the transfer market for top players. The likes of Neymar and Paul Pogba have moved clubs for world record fees over the last year, though Bayern have not even been linked with an approach for either. Speculation Bayern could have lured Alexis Sanchez away from Arsenal had emerged for a brief period this summer, before Bayern ruled themselves out of the race due to the player being too expensive. Instances such as that led to Lewandowski telling Der Spiegel: "Bayern will have to come up with something and be creative if the club wants to keep bringing world-class players to Munich. And if you want to compete at the top, you need to have these quality players." Lewandowski has also criticised the club for not supporting him in his pursuit of the Bundesliga golden boot at the end of last season, and the comments have now led to Rummenigge's fiery interview with Bild. On the transfer policy issue, he said: "It would be a pity, if he actually saw it that way. Loyalty is part of Bayern's DNA and very important to our fans. For a long time now we have a serious and successful philosophy that brought us big success. I stick with our chancellor who said the fees should be regulated and reduced. "Obviously Robert was irritated by PSG's transfers. He is employed with us as a football player and earns a lot of money. I regret what he said. "Whoever publicly criticises the club or his team-mates will get in trouble with me personally. He already made false claims last season following the Freiburg match, where he claimed he had not been supported enough. "I don't think the player's might is that high. And Lewandowski can see that when he looks at his contract. He signed until 2021 without an exit clause. Regrettably his agent often is his 'Spiritus Rector' [guiding light]. That was the case here, too. "The interview was consciously organised around Bayern. He harms Robert with that."